The exhibition ran from 1st September to 31st October . The Savill Garden is an enclosed part of Windsor Great Park. 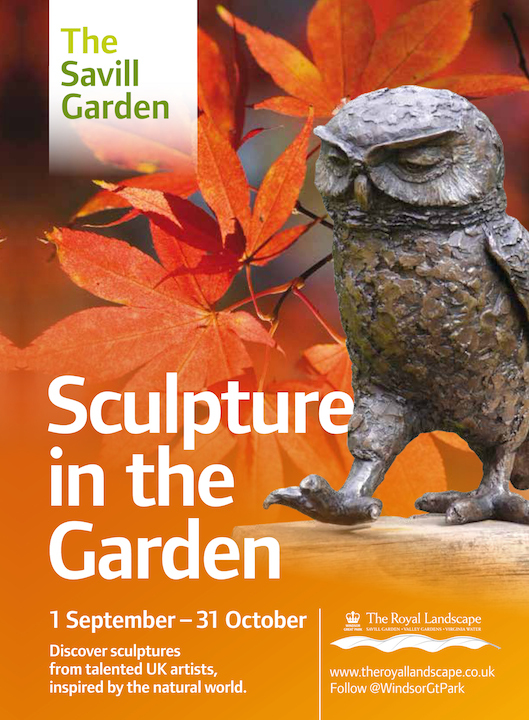 Little Owl II was chosen for the exhibition posters! This has been a very successful exhibition, the last outdoor of the season.